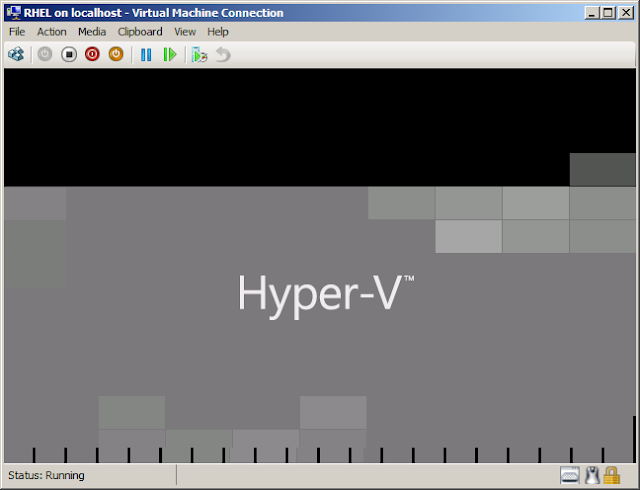 Hyper-V is a role in Windows Server® 2008 and Windows Server® 2008 R2 that provides you with the tools and services you can use to create a virtualized server computing environment. 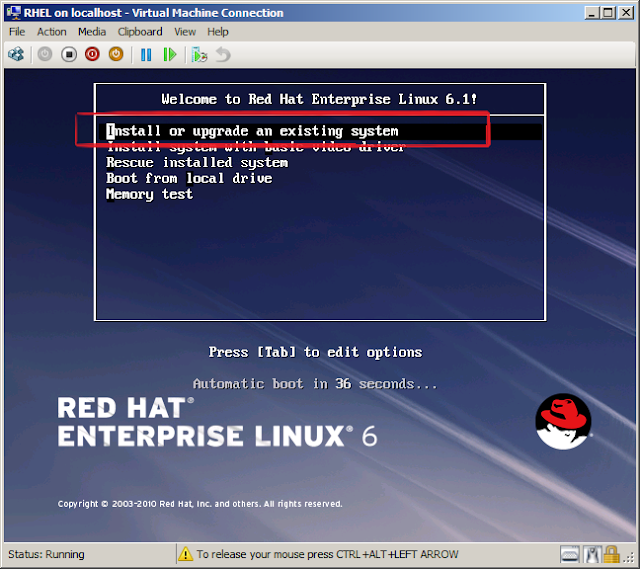 This type of environment is useful because you can create and manage virtual machines, which allow you to run multiple operating systems on one physical computer and isolate the operating systems from each other. 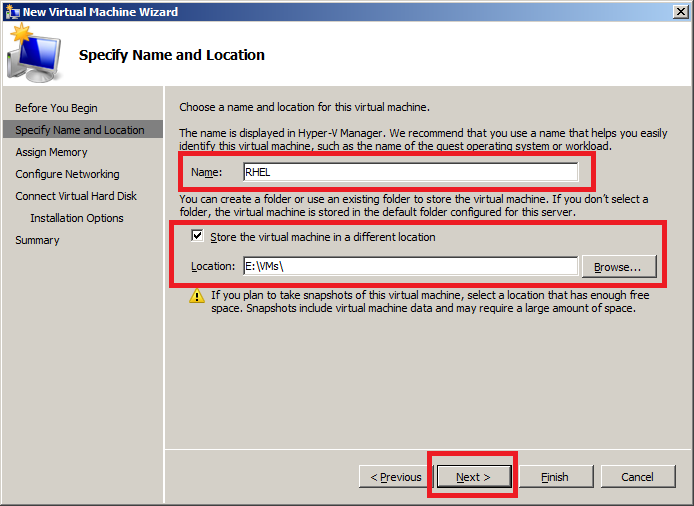 This guide introduces Hyper-V by providing instructions creating and configuring a virtual machine. 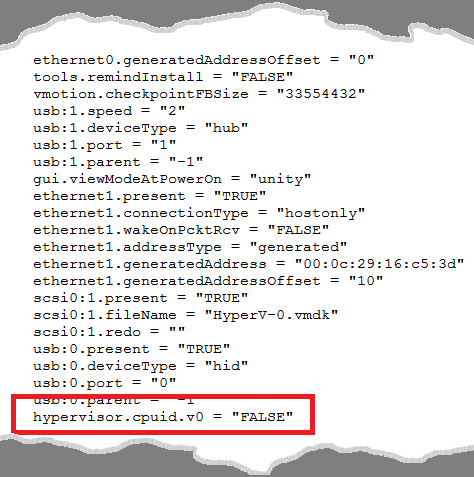 Hyper-V has specific requirements. Hyper-V requires an x64-based processor, hardware-assisted virtualization, and hardware data execution prevention (DEP). Hyper-V is available in x64-based versions of Windows Server 2008—specifically, the x64-based versions of Windows Server 2008 Standard, Windows Server 2008 Enterprise, and Windows Server 2008 Datacenter. 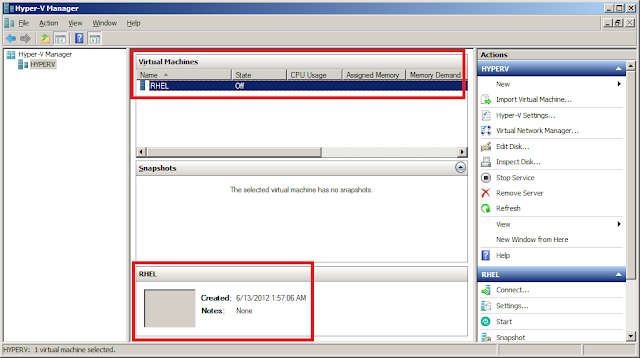 In Hyper-V Manager, in the Actions pane, click Virtual Network Manager. Virtual Network Manager opens. 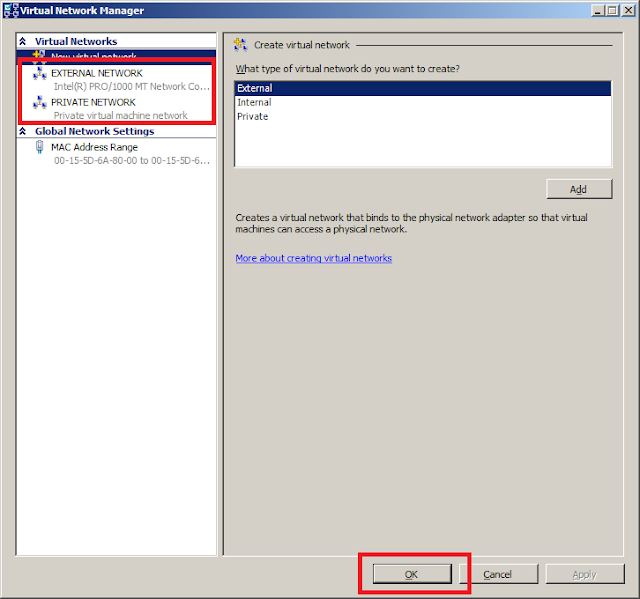 · In the list of virtual networks, click External, and then click Add. 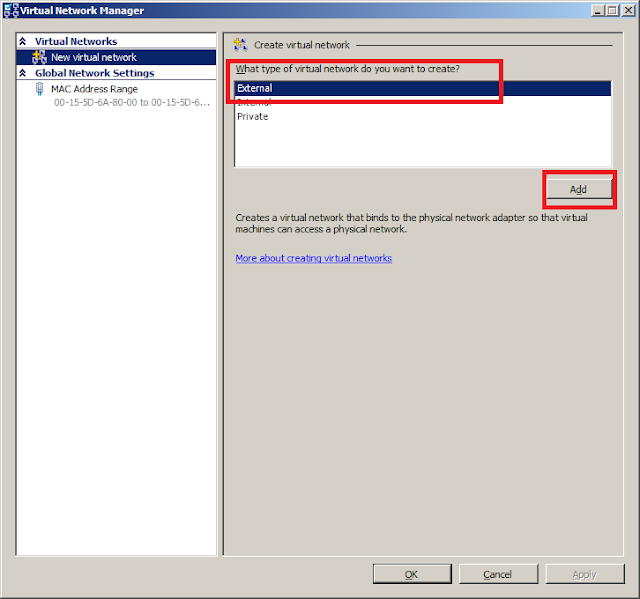 In the Name box for the new virtual network, change the name to External Network. 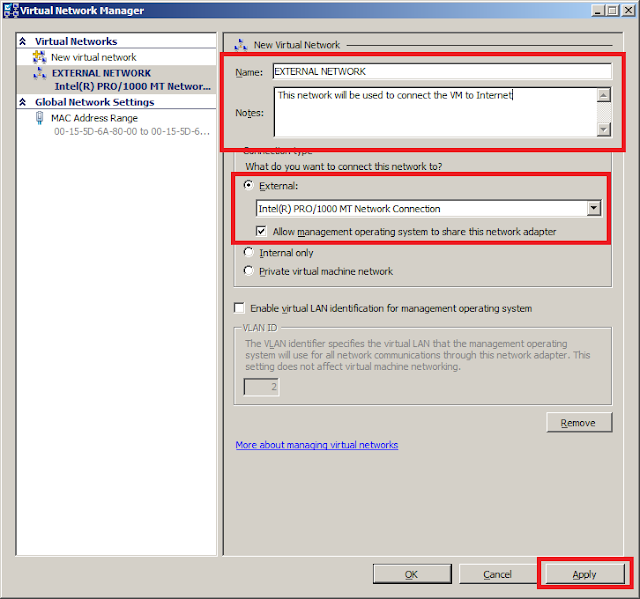 To create the new virtual network, click Apply. 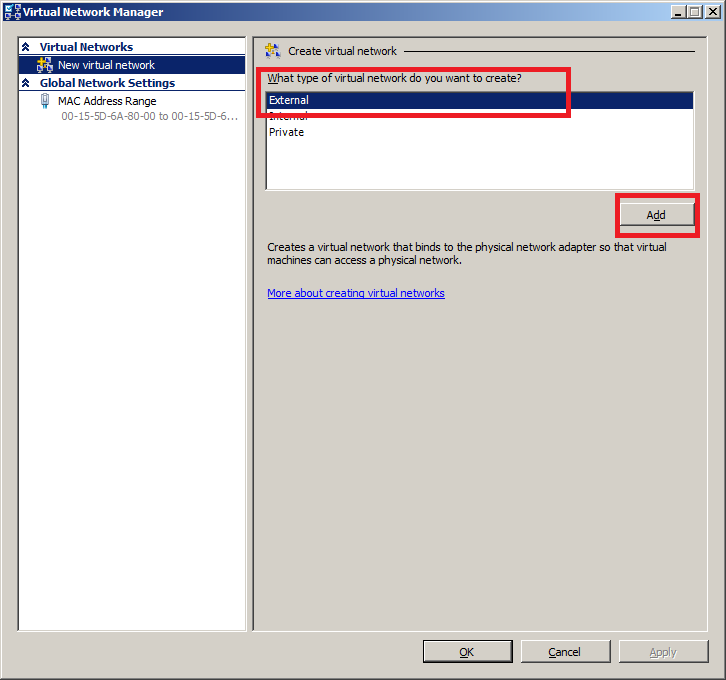 If the Apply Network Changes dialog box appears, review the warning information, and then click Yes. You can create similar such Virtual Networks as shown below. 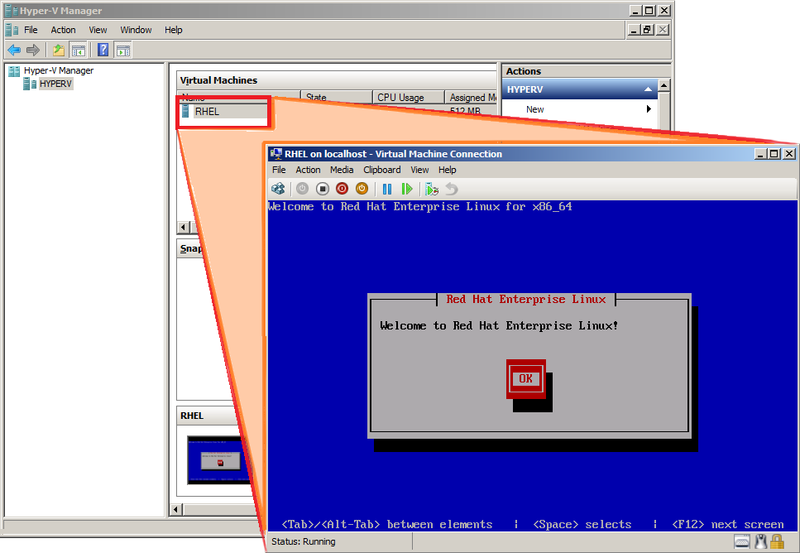 I have created one External Network for Internet connectivity and a Private Network for internal VM connectivity. To close Virtual Network Manager, click OK.
After you create the virtual networks, you can create virtual machines and connect them to the virtual network that you want them to use. 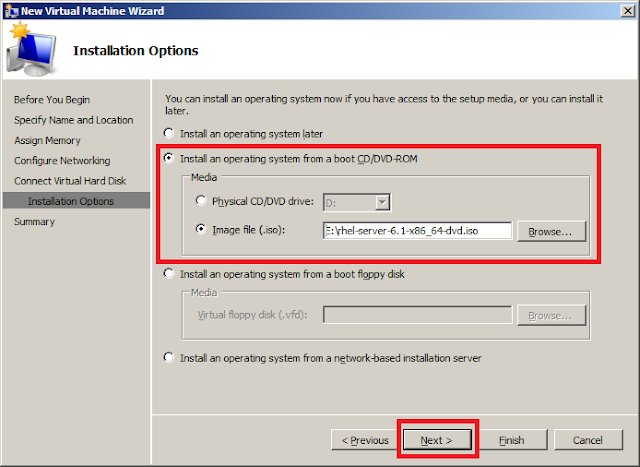 The first virtual machine that you create will be a base virtual machine that you can then use to create new virtual machines. You create the new virtual machines by exporting the base virtual machine, instead of creating each new virtual machine from scratch. In Hyper-V Manager, in the Actions pane, click New, and then click Virtual Machine. 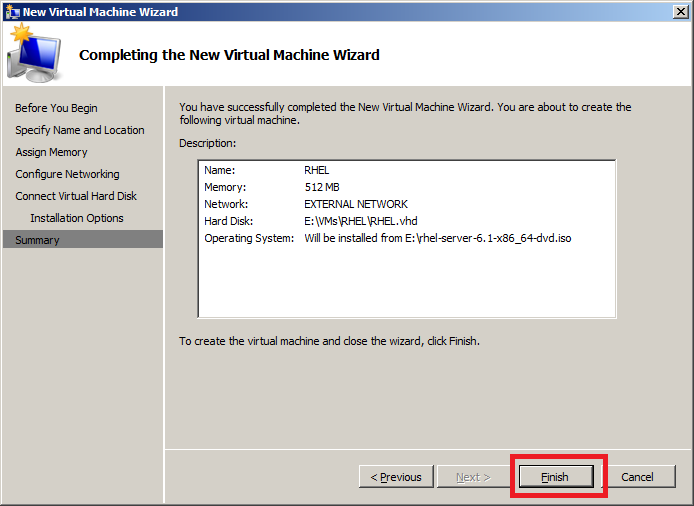 The New Virtual Machine Wizard opens. 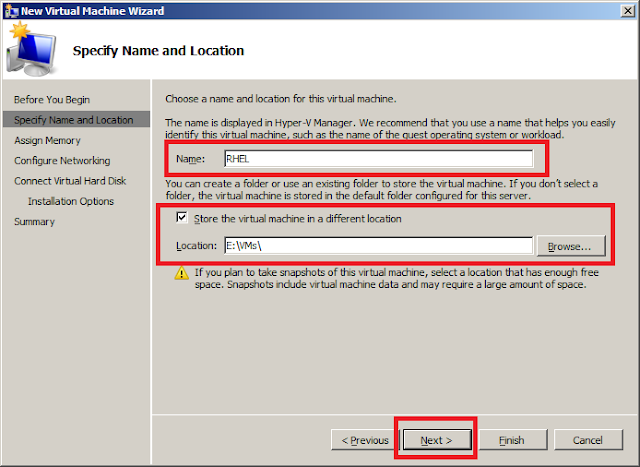 On the Specify Name and Location page, in the Name box, type Base Virtual Machine, and then click Next. On the Assign Memory page, in the Memory box, type 512, and then click Next. 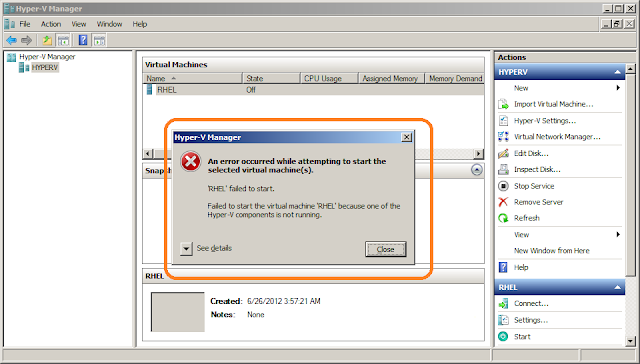 NOTE: If your virtualization server has enough RAM installed, you can assign more memory to the base virtual machine. Adding more memory might improve the performance of the base virtual machine. However, you might want to assign the minimum of 512 MB of memory to the base virtual machine, so that you can run several virtual machines on your virtualization server. 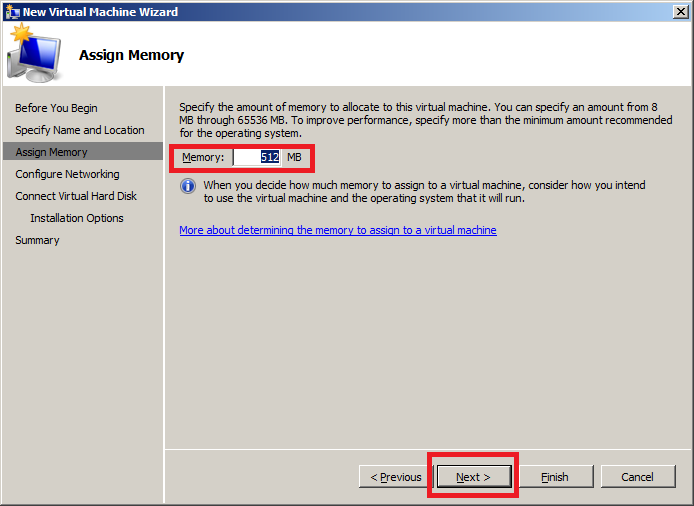 It is important to note that the amount of memory assigned to each virtual machine can be adjusted later, according to the number of virtual machines that you want to run at the same time. 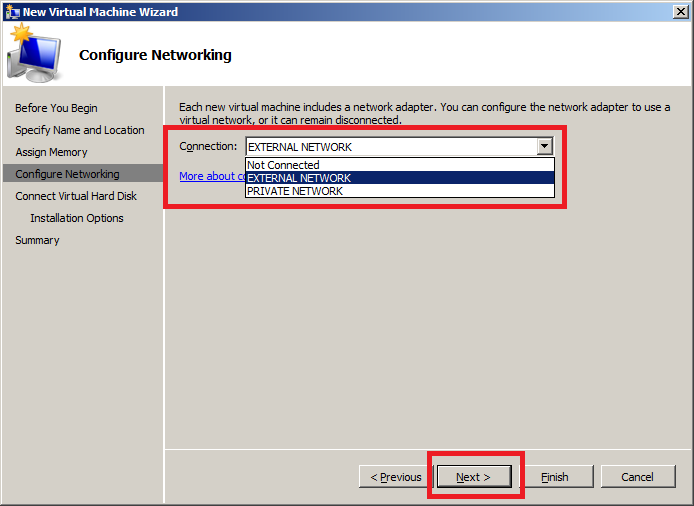 On the Configure Networking page, in the Connection list, click External Network, and then click Next. 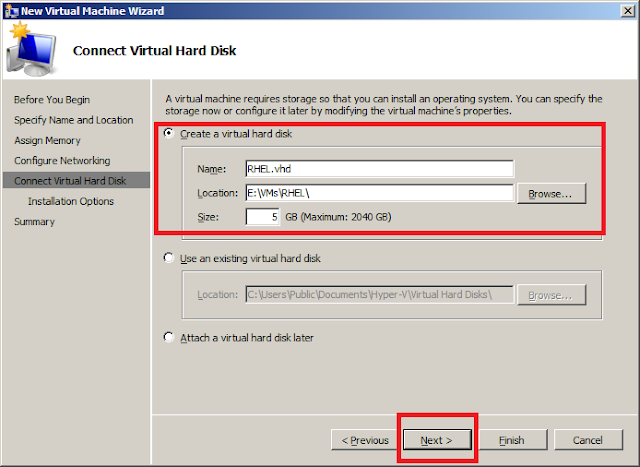 On the Connect Virtual Hard Disk page, leave all the default settings unchanged, and then click Next. On the Completing the New Virtual Machine Wizard page, click Finish. The new virtual machine is created and listed in Hyper-V Manager under Virtual Machines. 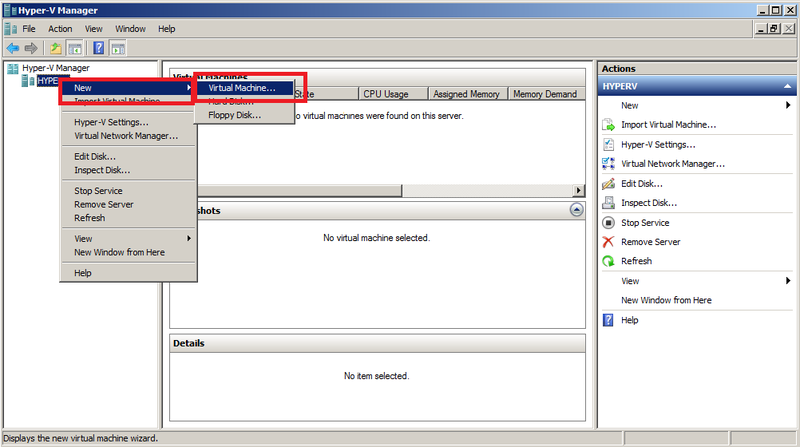 NOTE: If you are using VMware Workstation for this tutorial, you may run into an error while powering on the VM. 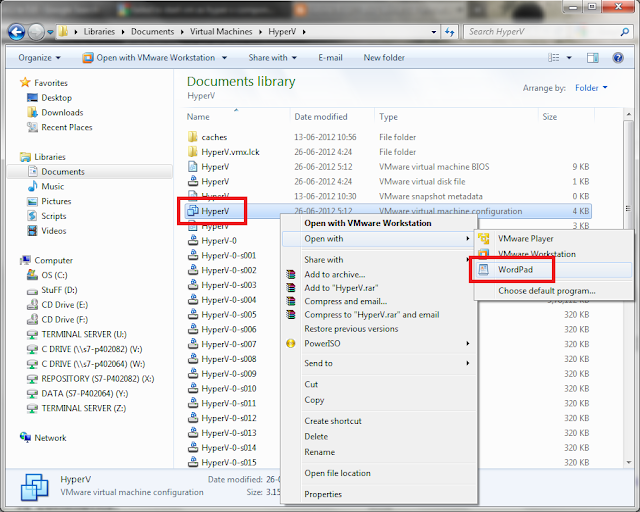 NOTE: both the Virtual Machine as well as the VMware Workstation must be closed. 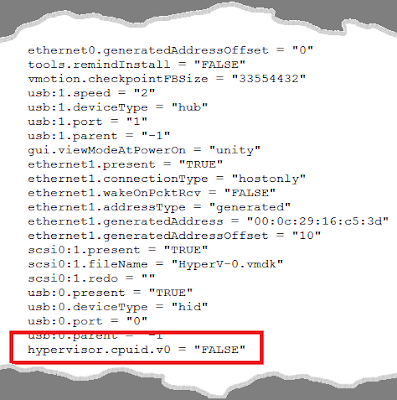 After adding line, power on virtual Hyper-V server and everything will be ok.
That's it from me for now.. watch this blog space for more such articles on Hyper-V and Microsoft's Private Cloud..